It is with great sadness to have learnt that a famous scholar of the Islamic world, the head of Wifaqul Madaris al-Arabiya Pakistan and a renowned scholar of Hadith and Tafsir, Hazrat Mawlana Salimullah Khan Sahib (may Allah have mercy on him) passed away due to an ongoing illness, surely to Allah we belong and to Him is the return. Sheikh Sahib (may Allah have mercy on him) has rendered unforgettable services in social and intellectual fields. He shall forever be remembered for his extensive services in the promotion and growth of religious Madaris (seminaries) and centers of learning. The passing away of Sheikh Sahib (may Allah have mercy on him) is an irreparable loss for the entire Muslim world and specifically for the followers of knowledge, Dawah and Jihad. 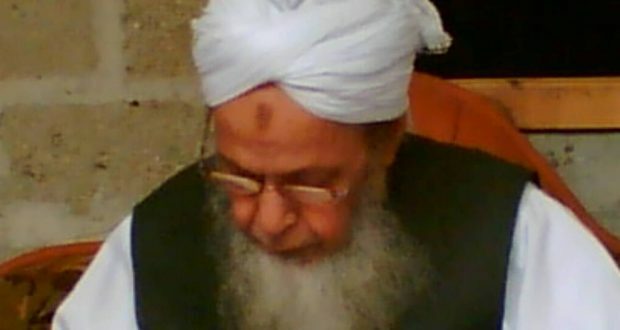 In this time of great grief of to the passing away of Sheikh Sahib, the Islamic Emirate extends its condolences and shares in the loss with the religious centers and scholars of the Islamic world, and especially with his esteemed family as well as the teachers and students of the famous religious Madrasa Jamia Farouqia. May Allah accept all the religious, intellectual and Jihadi services of Sheikh Sahib and may He shower the family, students and followers of Sheikh Sahib with his grace and blessings.